Leading supplier of blinds, The Blind Factory have noticed that home owners in today’s market opt for flexibility and versatility to create more functionality and style. Director of The Blind Factory Brett Thomas explained that newer homes had different window covering needs. “Hanging venetian blinds right throughout a home is basically unheard of these days and it’s a trend that has been particularly driven by the diversity of glass that needs to be covered in popular home designs. “New homes and renovated homes generally feature a combination of bi-fold doors, sliding doors and large spanning windows or glass features, which one type of blind just doesn’t service,” he said. The Blind Factory said most clients now used a combination of roman blinds, shutters and sheer and block out roller blinds to get the best look and functionality over windows and doors. “Roman blinds are great for covering bi-fold doors, they are easy to drop down at night when you want privacy while they allow natural sunlight in and stay out of the way during the day when the door is open. 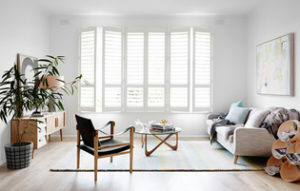 “Shutters are the most popular option in the kitchen, lounge room and even theatre rooms and rumpus areas, while combination sheer and block out blinds are most popular in bedrooms and bathrooms,” he said. Brett added that home owners don’t just purchase blinds for style, they purchase them for privacy, which is really important in many of today’s estates with narrower lot widths. “Owners want style and privacy but still want natural sunlight, which is where the combination sheer and block out blinds are booming. They are a great year round solution and they’re really easy to clean. “Interior style today is bolder, every room in a house can have a different vibe or look and there’s no need to have the same blinds right through the house – you can pick and choose to suit and enhance each individual area,” he said. 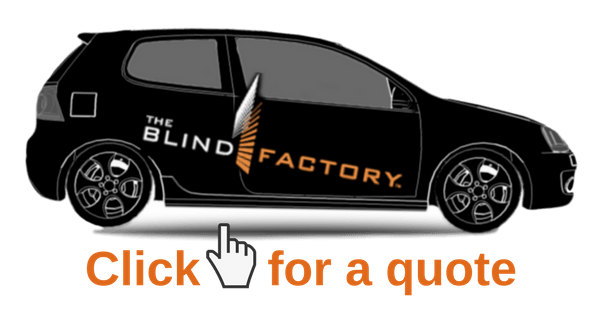 The Blind Factory are a leading supplier of made-to-measure and made-to-last, quality roller, venetian and roman blinds, shutters and awnings. ← Which Security Door is Right For Me?